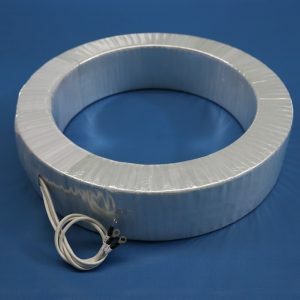 The term “instrument transformer” is a general classification. It applies to electrical devices which change current and voltage from higher or potentially dangerous levels to lower or more safer levels where they can be used for various functions. Instrument transformers can also isolate current and voltage from the supply side to the usage side to provide safety to the end user and device. Instrument transformers are designed to send secondary voltage and current to devices known as “instruments.” Instruments include meters for measurement or protection relays for equipment protection. Meters include voltmeters, ammeters, watt meters, and watt-hour meters. Protection relays include electro-mechanical, solid state, and microprocessor relays. Voltage transformers, also known as potential transformers, are typically used to reduce high voltages to 120 volts to be used in instruments. Current transformers are typically used to reduce high currents to 1 to 5 amps to also be used in instruments. While there are various types of current and voltage transformers, all of them share these basic functions.